“Glasgow town never brought me down,” Paul McCartney sang in 1973, and Greenock, gateway to the dynamic city of Glasgow, Scotland, is sure to please you too as a jumping off point for some terrific exploration of the land of the Scotch. If you like castles and lochs (personally, we prefer bagels and lochs), you’ll love this fairy-tale kingdom. More ancient and considerably larger than Scotland’s capital of Edinburgh, Glasgow is a multilayered and rich historical experience, easily accessible to visitors. Statue-filled George’s Square, red-brick People’s Palace, and other main buildings like the central railway station north of the river Clyde, are the obvious places to start. The ancient mass of Glasgow Cathedral sits at the city’s heart; around it, the wide streets of Buchanan Street, Argyle Street, and Sauchiehall Street have all been pedestrianized and must be savored on foot. Known as the “West End,” the westernmost half of the city boasts the refined, handsome proportions and prosperous townhouses of the island’s finest Victorian city, along with the old and new buildings of Glasgow University. Public parks and gardens help to dignify the southern outskirts. Finally, you’ll find their tourist information office about the most helpful on the island! Southeast of Cordoba in southern Spain, Granada was occupied by the Moors until Castilian troops took it over in 1492 ending the Moor reign. Motril is its second largest town and to some, the name is synonymous with sugar and sugar cane, which is the basis of its economy. Channel Islands, archipelago (1995 est. pop. 151,000), 75 sq mi (194 sq km), 10 mi (16 km) off the coast of France in the English Channel. The principal islands are Jersey, Guernsey, Alderney, and Sark; they are dependencies of the British crown. Agriculture, dairying, and tourism are the mainstays of the economy. English and French are the official languages. The natives speak a Norman patois and maintain Norman customs. The islands became possessions of the duke of Normandy in the 10th century and were joined to the English crown at the Norman Conquest. They were occupied by the Germans during World War II. Holyhead resides on Welsh Isle off the northwest coast of Wales; it is a frequent stopping point on the journey across the Irish Sea from Dublin to Wales. Castles, hiking, rocky beaches, ancient ruins, museums, camping, golf and sailing are what attracts most visitors to this scenic destination. From Holyhead, journey through the Welsh countryside to Snowdonia National Park. This vast, protected land of steep, forested mountains, crystal clear lakes and tiny villages is considered to be Wales’ greatest natural wonder. Among the castles of Wales are King Edward’s Beaumaris Fortress, with its thick stone walls; Caemarfon Castle, where Prince Charles was named Prince of Wales; and the Norman’s grand Conwy Castle, with its eight massive towers. An important ancient town in western Spain, it is said that in 813 a bright star led the bishop Theodomir to the grave site of St. James the Great. King Alfons II of Asturias founded a chapel to house the relics from the area. A massive cathedral dominates the town today. It is still an important pilgrimage site. Guernsey’s cliff town boasts a spectacular setting and charming streets filled with Regency-style houses. The quaint town is the main area for shopping. The winding, cobble-stone streets give the port a feeling of yester-year but with modern conveniences. Waterford is 85 miles south of Dublin, on the southernmost tip of Ireland. Arriving at Waterford is spectacular. It is a big event for this small town and the people warmly welcome you. Tour its famous crystal factory and watch how it’s done. Or, enjoy a drive across Ireland’s scenic countryside. All fares are per person, valid for residents of United States and Canada, based on double occupancy (unless otherwise noted), for new bookings only and may be withdrawn at any time. Any noted Shipboard Credits are per person, based on double occupancy. Free Internet is one per stateroom. Not all promotions are combinable. 2 for 1 and Special Offer Fares are based on published Full Brochure Fares; such fares may not have resulted in actual sales in all suite and stateroom categories and do not include optional charges as detailed in the Guest Ticket Contract, which may be viewed, along with additional terms, here. Additional Terms & Conditions apply for Grand Voyages. 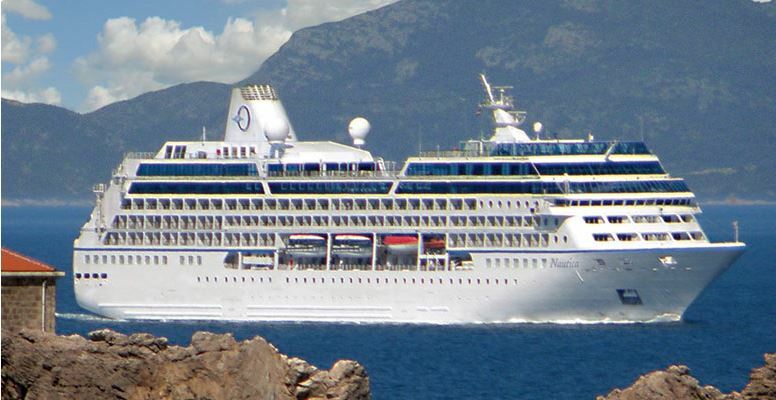 Oceania Cruises reserves the right to correct errors or omissions and to change any and all fares, fees and surcharges at any time. Ships’ Registry: Marshall Islands.